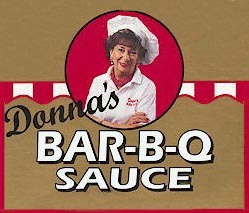 Now you can enjoy Donna's famous Minnesota State Fair Barbecue Sauce on your own grill at home. After years of serving thousands of hungry Fair visitors her rib and shaved pork sandwiches, now her special sauce is available for your own grilling. It's excellent on ribs, chicken, chops, and beef, and try adding it to baked beans.